The Asics Gel-Electro 33 ladies’ running shoes take neutral running to the next level, with great comfort, shock-absorption and low weight. Neutral runners will love the cushioning provided by the durable Solyte midsole and the impact-absorption from the rearfoot GEL® cushioning system. This enhances transitions, making them smoother and your running more efficient. FluidAxis technology in the outsole encourages more natural action, helping align your feet better throughout each whole stride. The outsole is made from the strong and durable AHAR+ material which improves cushioning and ride further, letting you glide from step to step. The lightweight 202g (7.1oz) neutral trainers have a removable sock-liner and a reflective upper to make you more visible in dark conditions. 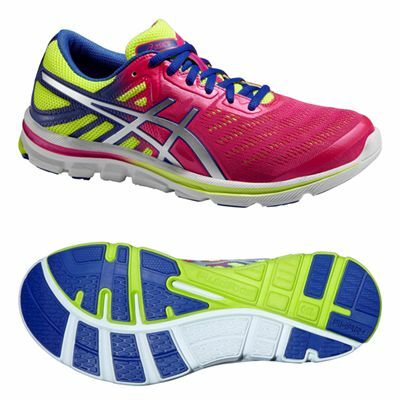 for submitting product review about Asics Gel-Electro 33 Ladies Running Shoes.